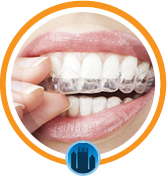 Save $600 on Zoom Teeth Whitening! Zoom! Whitening in Rivervale is a safe and non-invasive way to enhance your smile. Proven to achieve great results; your teeth can be up to eight shades lighter after application. Only a teeth whitening dentist can provide the smile transformation that Zoom! Professional Tooth Whitening will give you. Trials have shown that its unique technology can deliver up to 40% better results than other methods. Zoom! has been trusted by 14 million people world wide with a 96% patient satisfaction rate! *Patients must present for a consultation appointment and have had a recent scale and clean appointment within the last month and be over 18 at time of zoom whitening procedure. Treatment time is usually 1.5 to 2 hours. Dentists@Burswood is conveniently located in the MedPoint Professional Centre in Rivervale.